Walk the Razor's Edge: RIP Anita Zaffke - Paint Your Nails Black!!! 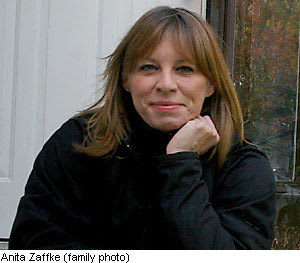 RIP Anita Zaffke - Paint Your Nails Black!!! According to news reports, Illinois motorcyclist Anita Zaffke was struck from behind by a car, driven by a woman not paying attention to her driving. What was she paying attention to? According to news reports, she was paying attention to painting her fingernails!!! So, in remembrance of this woman, this mother, this motorcyclist, please paint your fingernails black take a picture and send the photos to my e-mail addy - kc7rad@gmail.com They will be used in an upcoming website to memorialize those riders who have passed, and help bring awareness of motorcycles to those who drive cars and trucks. "In the meantime, Anita Zaffke's son wears black nail polish to bring attention to the need for stricter penalties for people who hurt motorcyclists like his mom. "I'm sure there are motorcycle groups who would like to hear about this story and potentially help us get the story out," said Greg Zaffke." Most of us have lost a friend or family member while they were riding or driving. Paint 'em up!